We want to use a part of our website to host and tell about other realities, projects which, like BIRRIFICIO MILANO, involve our territory and history, a free space to share themes and evolving ideas, a positive desire to do well in an honest and passionate way. 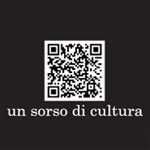 We are going to use the labels on our bottles with the QR code and our website as a sort of agora, to expose and transmit YOUR experiences because beautiful things must always be shared. Already social catalysts, the drink and its retail containers, can become free comunication, available to all. An array of topics aimed at adding value to what is–or what is going to be– precious on our territory can be posted through the bottle. We can supply a useful promoting tool to valuable projects, exhibitions, events, profit and no profit start-ups in and around Milan. All the people who come to Milan for EXPO 2015 will be able to enjoy a beer and get info about the most high-quality ongoings on our territory. A free culture sip is free information for those who want to taste it, read it and appreciate it. We think of it as a “virus” of positive and marvelous things that can be spread through the world. We believe that this communication tool can also be useful for those valuable projects that share the same vision we have and who want to communicate in order to foster economic and cultural growth on our territory.